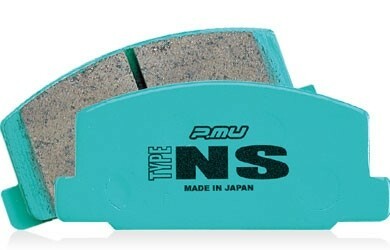 Project Mu Type NS is developed specifically for street use and guaranteed to outperform the OEM pads. Project Mu claims excellent initial stopping power, which is essential on the street. These pads are made from asbestos-free brake compounds. It has minimal dust and squeal properties compared to the more aggressive lineups. This works best for street and performance driving.